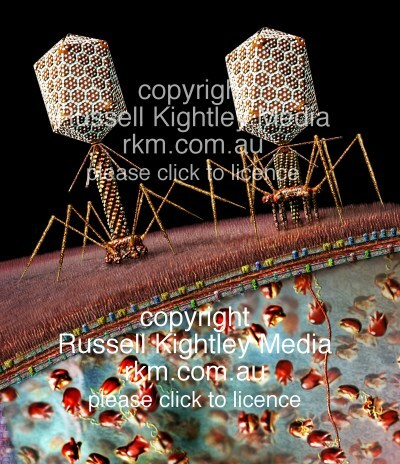 Above: graphic of Bacteriophage T4 viruses attacking a bacterial cell. At left, a phage has attached to the LPS layer of the bacterial cell wall. At right, the phage tail has contracted and the phage DNA (red rope like structure) is shown entering the cell. Image measures 400 pixels across, original image is 2673 pixels across.